The SGA Student Senate Convened in AU 236 at 6:30pm. Roll was taken, quorum was reached. There were no additions to the agenda. Stephanie Nahhas for Sororities motioned for minutes to be approved and was seconded by Stephanie Onyeiwu for Sororities. Motion Passed and Minutes were Approved. President Lardin, moved for this senate meeting to go into executive session. Motion passed and executive session was in order. Student Ideas and Concerns forum then began, starting with sophomore student Jordan. He told his story and experience with racial profiling specifically with BUPD. Specifically how he and his friend had ran from a party then were later stopped by BUPD and had a gun pulled on them and proceeded to be arrested. In his story he says all he had done wrong was underage drinking and running from the cops. He also discusses how police told him he was stopped because there had been recent robberies in the area, but Jordan claims that the cop who wrote up the report about the issue saw them leave the party. After his statement, we then moved to the discussion with BUPD Chief of Police John Connelly. His response to Jordan’s statement was that he was sorry he had to go through this, but due to this instance BUPD has changed their efforts with students and their policies. Specifically he wants to change how students are treated in legal situations. He also states that BUPD does not racial profile and he himself will not tolerate it. However he does defend the officers for pulling out the gun based on their suspicions, because working on their suspicions keeps students safe, as well as the community, in the long run. He offered the students to come ride with an officer so people can experience what they are going through on a daily/nightly basis. There was a question asked by a student via the live feed asking what is the policy for pulling out a gun when the person has cooperated? He answered saying if there is a situation the officer feels is necessary to pull out their gun then they can. Also that officers are certified with training every year about how to use their gun and when to use their gun. Two officers came in later to discuss as well, Sergeant Wilbur and Officer Wagers. One of the first questions was about sexual assault and asking why there hasn’t been a report out yet regarding sexual assault, and the chief responded saying there hasn’t been any so there has been no report. There was also questioning about the divide between BUPD and the students, saying last year it wasn’t nearly as bad as it is this year. The chief commented saying that rumors and articles released adds to the divide and he feels that is mainly a part of it. That untrue things are being said and growing causing this divide to occur. Some senators felt the divide has also been caused by the alcohol policy on campus and suggested that BUPD compares the current alcohol policy to other campuses, however the chief described that as comparing apples to oranges as each campus is different. The next main issue was DawgAlerts and what qualifies as being sent as a DawgAlert. Apparently there are two types of notices, DawgAlert and Timely Warnings. DawgAlerts qualify as a current and imminent threat, while timely warning is after the fact of the issue. He specifically discussed the recent robbery at a senior house and how no DawgAlert was sent out because the police was not notified in a timely way because their phones were stolen and by the time they were notified there was no imminent threat. However the students felt that Dawg Alerts need to be sent out in a more timely manner and have not been sent out appropriately in the past. The next major issue was the relationship with intoxicated students and BUPD. Everyone recognized that it is illegal, however both parties just want the students to be safe. Currently students feel they are being targeted by BUPD because people just walking around campus will get stopped and ticketed or people going back to Ross Hall will be stopped, even though they are just going home. Senator Lowry Reuter for Ross Hall spoke on how his constituents do not feel safe going back to their rooms because BUPD is constantly there on weekends stopping students, so instead they stay in frat houses or random houses they are partying at which isn’t safe for them.  People later on also discussed this that students have been going further and further off campus or going to other colleges to try and drink in order to not get in trouble at Butler, but it is overall not safe for the students. In response the Sergeant stated they are not actively seeking out underage drinking, but if they notice students acting unorderly or belligerent, visibly intoxicated, or throwing up. The Chief also made a comment that BUPD is usually in Ross already from investigating thefts of exit signs, but they do also state later on that they do have rounds of Ross Hall on the weekend. They were questioned though because they do not do rounds during the week and only on weekends so that seems like they’re targeting weekend activities. Also the sergeant wanted to remind people that the legal age to drink is 21 and that is the underlying issue of this all. Something the senators asked about was the reform of alcohol education. Many people believe that the education during welcome week and that is it is not effective currently. The Chief did let people know that there are posters and resources available online, but the senators do not believe that is enough. There is a possible idea to start a committee about alcohol education on campus. The meeting was about to go over so Liv Jacobs JCA motioned to extend time by 15 minutes, Nick Bentz JCA seconded. Motion passed. Motion to extend for five minutes proposed by an unknown senator and seconded by Matt Warren 2nd Year.